The Right to Education Act was passed by the Government of India in 2009 to combat illiteracy and disparity in the Indian education system. The objective was to ensure that all children between the ages of 6 and 14 are provided free and compulsory primary education. In some cases the enrolment in elementary schools has been recorded to be as high as 96%. Yet, according to UNICEF, 80 million children out of the 200 million odd admitted in elementary schools are likely to drop out. That’s right. Over 70% of the children between the ages of 6 and 14 do not even complete their elementary education. The sheer inability to reach schools makes education inaccessible for many children. While for some other children their families can’t meet the costs of a education and the children eventually dropout of schools. A major chunk of these children would eventually fend for themselves, or support their families, thereby becoming a bunch of statistics in a graph measuring child labour in the nation. For children to not get swallowed up by this great social evil, Access, Affordability and Accreditation is necessary for a large number of children. To ensure complete education, there is a need to extend support to deserving students right from pre-school to 18 years. A scholarship gives students the resources they need for a full year of school. 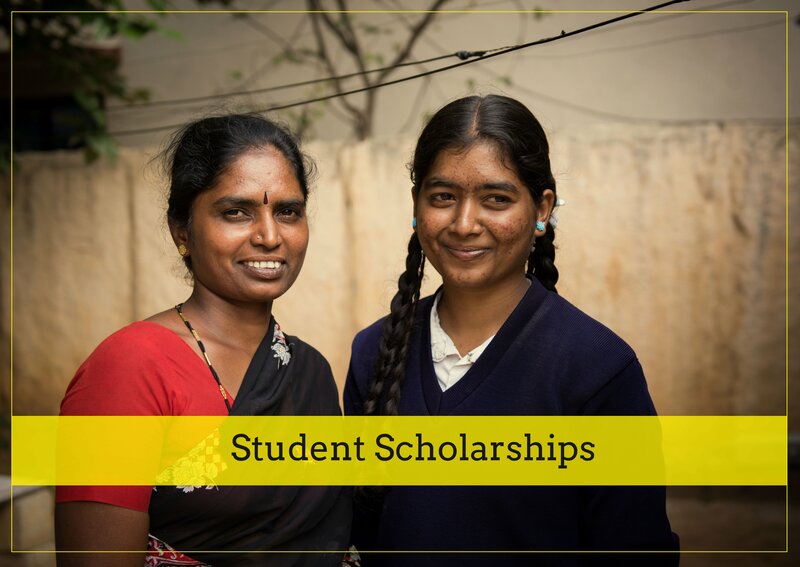 Bal Utsav Scholarships provides quality education and equal opportunities to the under-privileged children, who are studying in Government Schools (Sampoorna Shaala). Students who approach Bal Utsav for educational support come from various walks of life from both rural and urban areas. The children are mostly from challenging family backgrounds with limited financial support. They are also constrained by communal practices such as resistance to educating the girl child, underage marriage, child labour, single / disabled / addicted parents who are ignorant of the value of education, posing significant threats and obstacles for the child to overcome. Post-selection of deserving students, based on the selection process mentioned below, we continue to track the progress of the recipients and ensure they maintain at least a 75% attendance rate to continue in our program and apply for a Bal Utsav Scholarship. Bal Utsav receives applications from students, who are nominated by the Principal of the Sampoorna Shaala.These applications are reviewed and the deserving students who come from Government Schools and are first generation Learners are short-listed. The students who are shortlisted are called for a personal interview, for which they are asked to be present along with their parent or guardian. The personal interview is conducted to assess the student’s attitude and willingness to study further. The genuineness of the details provided by the student/parent or guardian is also verified during the interview. The purpose of the house visit is to assess the information and verify the facts provided by the student and their parent/guardian during the personal interview. The financial background and the life style of the student’s family are also assessed during the visit. Bal Utsav Staff doing the House visit, fill in forms to mention whether there is electricity facility or not, residing house is hut/tile roof/concrete, educational qualification of the parents and siblings, whether the father is alcoholic or not etc. Weightage points are given to these parameters at a later stage. The final list of students for the given academic year would be determined by the socio economic scoring against various parameters filled during House visit, along with their academic scores in V, VIII, X & XII exams.